We at VIP Limo Hawaii service the entire Island of Oahu. Oahu is the most populated among the Hawaiian Islands and that means there's a lot to do in Honolulu. More things to do, more travel you will need, and we understand that. Travel the island in our VIP limo fleet - cool, comfy, and in luxury. 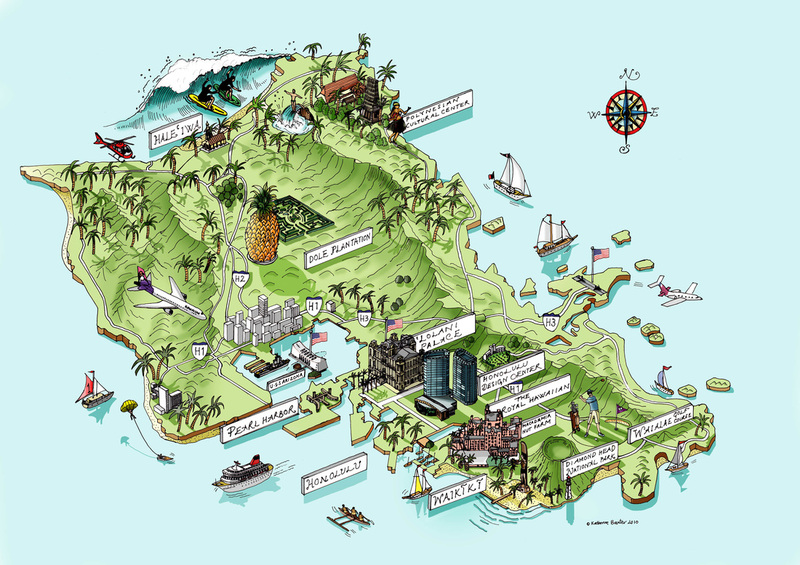 We'll take you around the island, sight seeing, or on an Hawaiian Island tour. Or tell your driver where you want to go and he'll know, so sit back, relax, and go with the Hawaiian flow. We provide limo service for anywhere on Oahu and for anything you need us for. 1. We know Hawaii. We are Hawaii. From the hot spots to the unknown spots, we more than likely know where you want to go. In the rare event that we don't know what area you would like to go or need services to and from, we'll go beyond our means to find out and take you there. 2. Our professional limo drivers will coordinate with you on pick-up and drop off times and location(s). Initially, all we need to know is the first pick up location address/area and time, and you tell us where to go from there. We'll then always be on standby wherever and whenever you need us. 3. 24/7 Hawaii limo service. We not only take you and your group anywhere on Oahu but anytime you need us as well. We strive to be on-time every time. Call us today at (808) 725-3135 and we'll take you wherever you want to go on Oahu. If we could drive on water, we would take you anywhere you want to go. That's how much we strive to serve you. Much Mahalo and Aloha always!